Few things are more deflating for an email marketer than experiencing the joy of someone signing up for their email list, only for that person to unsubscribe a few days or weeks later. A prospect should always move down through the sales funnel, but when they unsubscribe from your email communications it means they are going the opposite way. Although unsubscribes are an inevitable part of email marketing, there are a few common reasons people unsubscribe from your email communications, and certain actions that you can take to minimize your email list from growing smaller. There aren’t many ways of annoying someone that are more effective than sending them too many emails. Even if what you have to offer is valuable to them, a prospect who feels like you are being too forceful or spammy with your email campaigns will be turned off. This is likely to be one of the most common reasons people unsubscribe from your email communications. What to do? Err on the side of caution. Start off with a modest email marketing frequency, and then run some tests to see how effective it is when you increase this frequency. Eventually, you will find a frequency sweet spot that will help you attract prospects and drive them to action. Today’s consumer demands honesty and transparency from every company that they deal with. If you don’t give them a good sense of what exactly they will be receiving when they provide you with their email address, they are likely to unsubscribe from your email communications. What to do? Keep subscribers by setting expectations from the outset. Start with your sign-up form. Let them know the type of content they will receive from you and how often…then deliver what you promise. Sending boring and visually unappealing content is another reason people unsubscribe from your email communications. Even if you have the best solution in your industry that you know your prospects will benefit from, if your emails don’t entice them to learn about it, you will be missing out on business. Remember to include pictures, concise headlines and sentences, balancing compelling imagery with convincing text. What to do? Create a variety of compelling, personalized and valuable content (e.g. white papers, guides, check lists, surveys, and trend articles). Revisit some of that boring content and turn it into engaging infographics. If you’ve ever gotten an email from an address with the username “noreply” or “info,” you understand why email messages need to be personalized. Sending email from noreply@ or info@abccompany.com signals to a subscriber that you don’t really care about them. What to do? Whenever possible, use an actual person’s email address, and try to write from the first-person perspective. Adopting a casual tone will also help you ensure that your email messages are interpreted as being from a human, not a random computer set up to automatically send emails. Imagine being interested in learning how to play the guitar and signing up for an email list at a music store. Unfortunately, after you receive your first few messages from the list, you realize that their messages contain sophisticated information about music theory and parts of a guitar that you aren’t familiar with. Eventually, you stop paying attention and unsubscribe altogether. What to do? When collecting data from subscribers, try to harvest as much additional information as you can about their interests and preferences, then personalize your message based on those interests and preferences to deliver content that’s relevant. These are a few reasons people unsubscribe from your email communications. To avoid them, ask people who sign up for your email lists to give you a bit of information so that you can segment your email list accordingly. 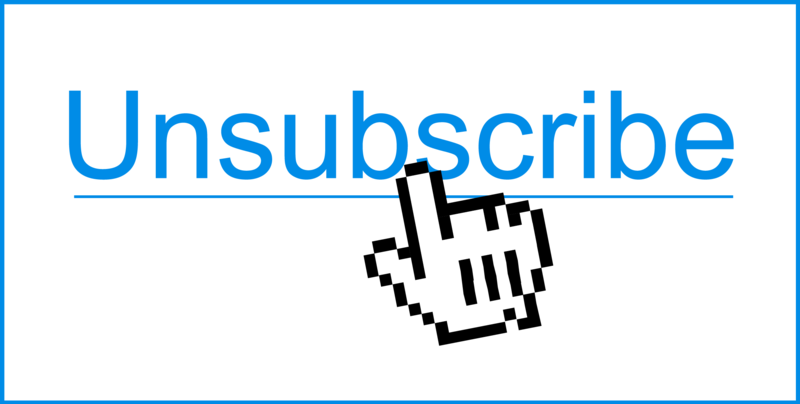 There are a number of ways to ensure that you keep your unsubscribe rates low. These five tactics will help you get on track to keep your list intact, which will in turn boost both customer retention and the effectiveness of your prospecting.